Let’s see how consistency can help you along with your UX design journey. UI work requires a lot of repeated efforts, a lot of opinions and a lot of criticism. People will try to convince you as per their preferences. Do not feel bad and keep on trying as per your own instincts. 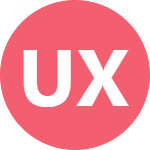 You are the UX person and you know better about logical reasons behind your ideas. Success comes to those who sustain a consistent effort. UI work requires learning on regular basis. It is difficult to say that since I am an expert in UX field, nothing is left for me to learn. Learning should never stop. As UX field is continuously evolving, getting familiar with latest technologies and trends is a key to success in this field. You must have a standard design process to follow while doing design work. Follow it consistently for all kinds of assignments. Make amendments in the process where required, but do not ignore it even for very smaller projects. Don’t skip stages just because you don’t have time to work on them. Following the process for each design task will help you to remain organized as well as produce quality output. Consistency is a key principle in designing interfaces. Inconsistent experiences cause frustration in user and give him a reason him to leave your product. Consistent design attracts users and helps to build their trust on your product and hence on your brand and yourself. Consistency in design can be considered for visuals, interactions, content, language and expression. You need to present and defend your ideas and design in front of stakeholders. Do it with confidence. Be consistent in your logics and convey them to others. Don’t negate your own words and stick to your defined values. This will increase your trustworthiness and hence helps you to earn respect from others. One should continuously try to improve himself in every possible way. Improve your knowledge, your communication and your way of working. Compare your new project with your previous one, and see how things are improved. If you are not satisfied with results, see what needs to change. Learn from your mistakes and try to incorporate learned lessons in your work. Being consistent is much important to gain success in UX field as it builds trust of your customers and helps you improve yourself as a designer continuously. Keep in mind that consistency is a not a barrier to innovation, but making consistency a priority while thinking about innovative design ideas is the secret to success.